Noction is pleased to announce that a new version of the Intelligent Routing Platform 3.8 is now available. IRP 3.8 brings to the table a new Circuit Issues Detection feature, which allows IRP to automatically disconnect a BGP session with a provider suffering from excessive levels of packet loss, after taking into account configurable preferences and rules set by network administrators. Additionally, the new version comes with a whole range of new and improved data analysis and reporting options including: “Daily Provider Performance”, “Probes today”, “Monitors status”, “Country Statistics” reports and many others, offering an even more granular view of a network performance. Once the feature is enabled for a specific provider, IRP uses past probing data to detect when it starts to suffer from excessive levels of packet loss. To determine excessive loss IRP precisely compares a provider’s average loss over an immediate past time horizon, number of probes and average loss difference from the other providers. When a circuit issue is detected, IRP raises alerts that network engineers or an external network management systems can act upon. 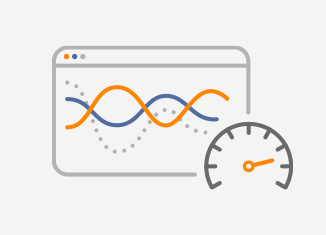 Moreover, it can be configured to automatically drop BGP sessions with the providers that suffer from excessive packet loss, further monitor the providers and restore BGP sessions once the loss averages return to normal. 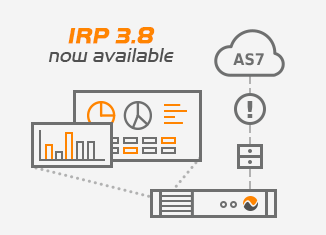 IRP 3.8 is further enhanced with comprehensive reporting features, which make it easier for system administrators to obtain platform and network performance data on an ongoing basis. Nine completely new reports and graphs, as well as three updated ones, are now available. To get more information on the full set of graphs and reports available with IRP 3.8, please contact noction account representatives at sales@noction.com or review the documentation. Noction ISO Certification. Continuous adherence to innovation and quality.